This is a neat new Homemade Irish Chain quilt top that I made. 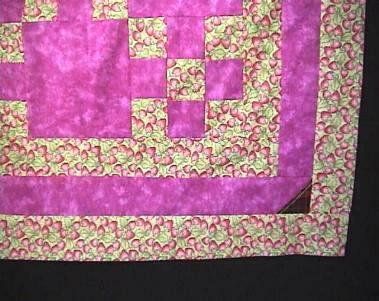 The beautiful mottled fabric is a cranberry color. This is lovely for those who would love to have ice cream everyday. 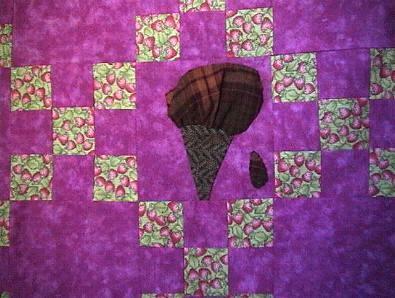 I hand appliqued the ice cream, the cone and the drop onto the quilt top. If you love strawberries, yumm, this if for you. 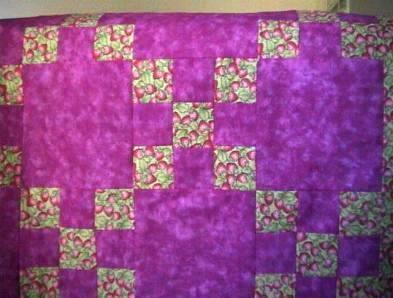 Will look nice as a crib quilt, nursery, wall or lap quilt. Fabrics are good quality 100% cottons, except the cone and ice cream is cotton/poly.